I have a whole lot of running new to share with you. First and foremost, yesterday was a big race day for me (and a lot of people I know). Yesterday, at 7 am, the Beach to Beacon 10k registration opened, and then closed 4:58 later. Not 4 hours and 58 minutes, 4 minutes and 58 seconds later. Craziness. How many people exactly registered for this race in record time? 4,000 people! And I'm in! Ward is too. And many more of my friends got in too. It was so much fun to watch facebook light up yesterday with many of my friends proclaiming their acceptance into this race! Now, why on earth is this race so exciting? There are a multitude of reasons. For me, #1: the brains and organizer behind this race is Joan Benoit Samuelson. My idol. #2: the race takes place in a beautiful coastal town in Southern Maine - Cape Elizabeth and ends at my mom's most favorite lighthouse. It's always emotional for me to enter the gates to the park that leads to the lighthouse. Mostly because the pain is going to end momentarily and then because I think of my mom. #3: I took last year off from this race and spectated and cheered on my favorite running friends. It was quite a bit of fun to cheer on everyone, but I had so much runner's envy, that I decided that I needed to run this race this year. So, at 6:50 am yesterday morning, I woke Ward up from his beauty sleep, and opened up my laptop and went to the site. While I sat there, hitting the refresh, over and over again until I saw the glorious "register" button appear on the website, I got my credit card ready to go. A successful registration means fast fingers on the keyboard and no mistakes! I didn't want my registration to be thrown out due to a wrong number! When I finished I threw my hands in the air and cheered for myself. I am a freak. Then I watched Ward struggle on his iPad and held my breath for him. I would have felt bad if he hadn't made it in. But when he did, we high-fived and congratulated ourselves for being weirdos that were excited to spend $100 in seconds for a race. If you live in the area of are going to travel to Maine around 8/3/13, you can still try to get into the race. There is a lottery process going on right now. Then I got in my car and raced off to a conference. Thank goodness for the conference, because I was somewhat distracted by the information being presented while I had to wait until noon to find out if my application was accepted to run the Best Race Ever - otherwise known as the Great Cranberry Island Ultra Marathon. Then at noon, I refreshed my email and BOOM - there was the email! I was in! Now I have to officially register, I will. I just need to decide how many people I'm bringing with me and how many lobster dinners I'm going to buy. That decision has to be made in the next few days. I don't want to wait too long! Now - that I'm IN 2 awesome races - let's look at the dates: 31.1 miles on July 27th, 2013 and then 1 WEEK LATER I'll be lining up with over 6,000 other runners to run 6.2 miles. What was I thinking? What I'm thinking is that I'm a loon....and I have a problem. And that I love running so much, I couldn't say no to either one, so why the hell not? Right? I saw my chiropractor yesterday for my monthly adjustment and she informed me that I was a wreck. That my hips were completely out of whack, not to mention I've had a bit of a pain starting to brew in my foot and calf. She worked on me and did her miracle thing - then she asked what races I had coming up. I told her that Sugarloaf was in 9 weeks. And then she asked about the "rest"....and I was still excited I started talking about Beach to Beacon and Great Cranberry Island - and how I'll be running back and forth on an island 15 times in the middle of summer. She just looked at me and said I was nuts. Yes, I am completely nuts. And I'm excited by this! Next up, some new, beautiful shoes came to my door today and I put them on right away. I love new shoes and I have high hopes for them. But I'm nervous. They are women's shoes...but the forefoot is quite wide and there seems to be plenty of room. I'll know for sure if they are for me after I run in them on Monday. 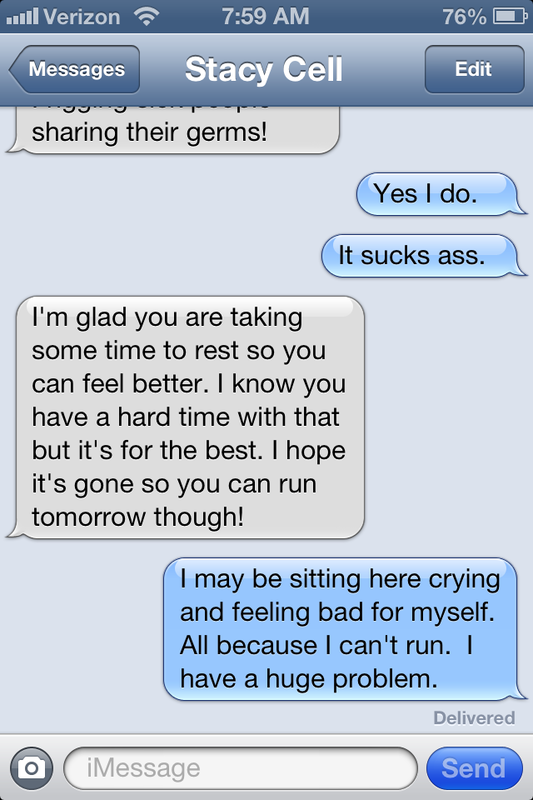 I wanted so badly to lace up and go for a run, but I'm sick right now. I have a throbbing headache and a fever. Grrr. Given my history with fevers, there is no way I'm going to push it right now and I decided to just take the day off completely. Now I hope I'm feeling good enough to take on 14 miles tomorrow. But I promise that if I'm not feeling better, I won't push it and I'll stop. As much as I don't want to do it, I think I'm going to be safe and do the mileage on the treadmill so if I do start feeling badly, I can stop immediately. I was really hoping to get outside since the weather is getting nicer and nicer. Oh well. There will be plenty of time for gorgeous outside runs. How's your training going? Got any new shoes lately? Do you run to your camera as soon as you get new shoes and do a photo shoot like me? Or am I just crazy? Oh, wait, I am. I love your craziness!! 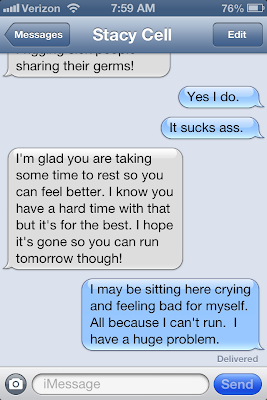 Sorry about your sickness and missed run. I too have been sick w/ norovirus and missed my first 20 miler - whoa. But I was too miserable from being sick to care. That's saying something. It's going to be an awesome summer!!! I just got my race day shoes last week! LOVE THEM! I also couldn't run this week because of an accident I had and I couldn't run - I feel so behind and like I am in need of a confidence boosting run to get me back on track. Those shoes have great colors! Ugh I missed the registration for the B2B :( crap! Congrats on getting onto these two great races! Ugh, sorry to hear you are sick. I was sick for TWO weeks with an awful cold and sinus infection, I squeezed out one long (9 mile) run after the first week of the cold, only to get a sinus infection (and terrible cramping in my legs... it was supposed to be a 10 miler). I hate missing training time, and I need ALL the training time I can get!! Hope youre better today! Did you try out the Cursoris'?? I discovered mine are the Levitra's not the Cursoris, (had to read the box again, lol) I LOVE mine. . they are nice and flat but oh so cushy! Congratulations on getting in to both races!!! I wish we were going to be in Maine around then, but probably not going home until MDI. 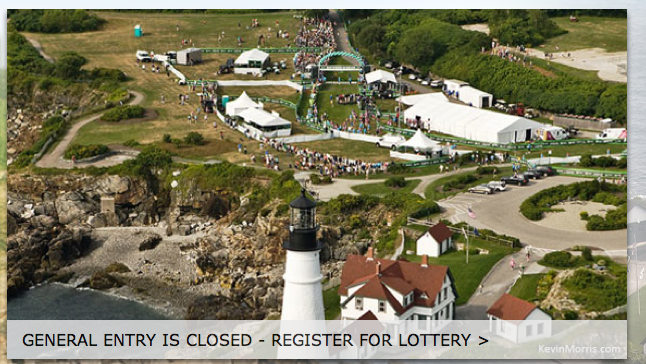 I think next year, maybe since we're doing our Ironman, we'll try to get in to Beach to Beacon. If not 2015 for sure! Congrats on getting in to those races! Sounds like fun. :) Hope you feel better!! Love how psyched you are about these races! Congrats on getting into both! Hope you're feeling better! 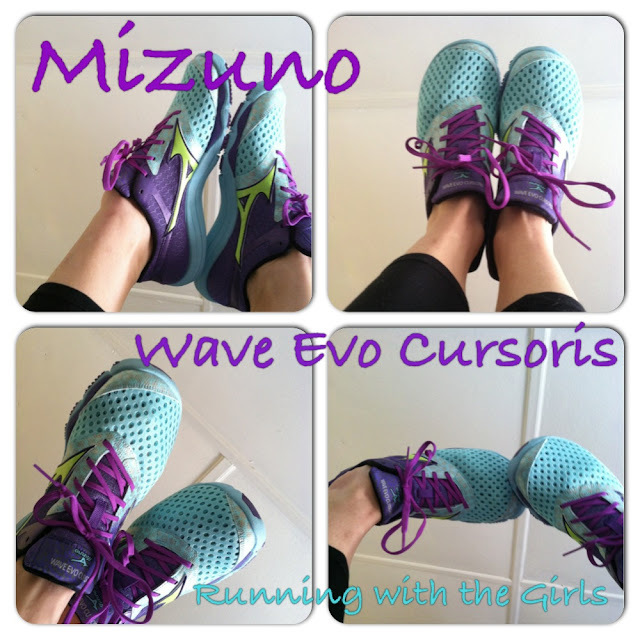 Love your new Mizunos! Glad you were able to get into both of those races. They both sound like they will be a lot of fun.